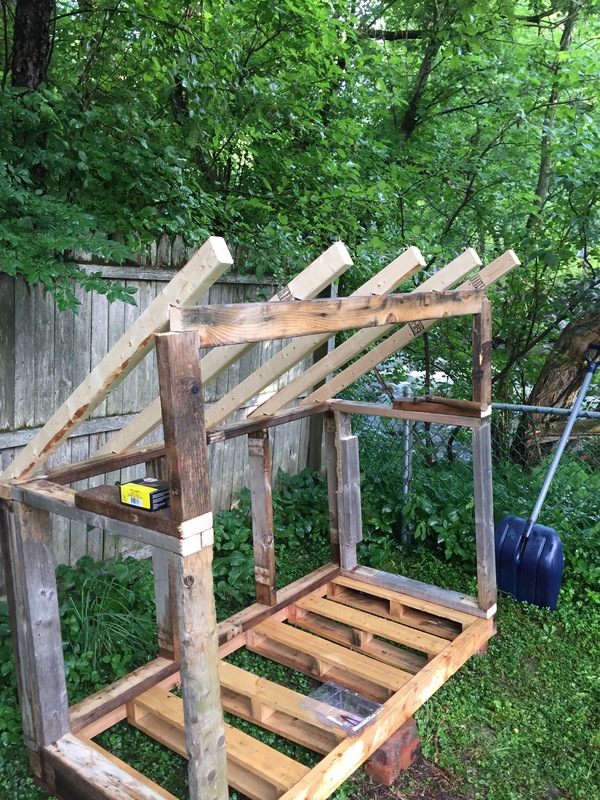 Time to roof the woodshed here’s what I have so far. Each end will get a riser attached to the wall on the front of the shed. 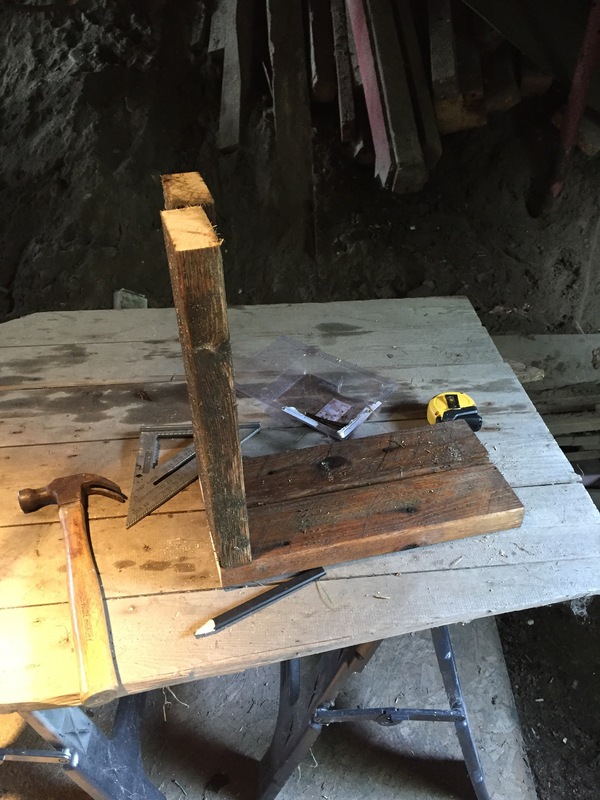 Simple and L shaped each will get a brace before they are attached. After this comes the trusses these are the first part of the project that has cost money. $2 for the nails and $6 for the wood. 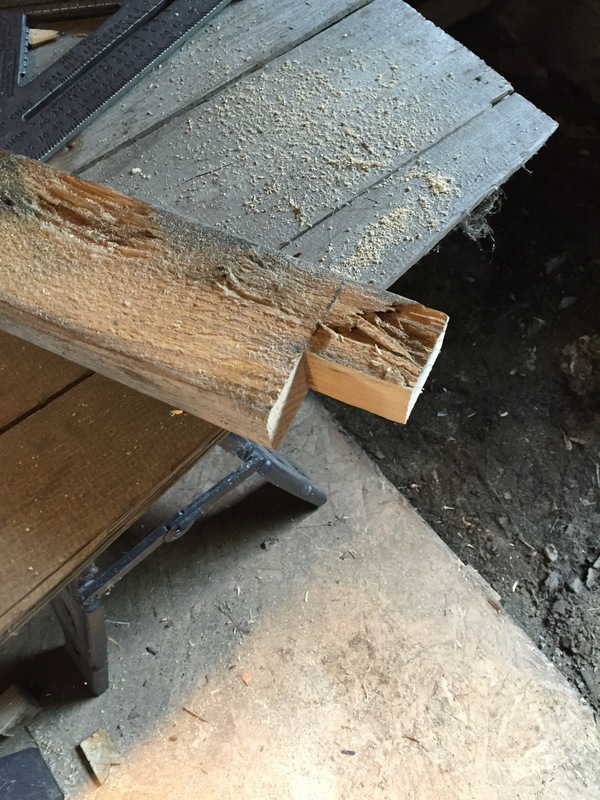 They are cut to length by eye, and the fact that 8 for lumber divides easily at 4 feet; the eye liked 4 foot trusses. Due to the laws of mathematics being infallible 2 not greater than 2 1/2 no matter how hard I wish it. Off to the hardware store I go.